With a 30 year fixed rate mortgage, your interest rate does not change, your payment does not change, and you pay the loan off in 30 years. This is the most popular mortgage when interest rates are low. Monthly payments are lower than with a 15 year fixed rate mortgage. Interest rate does not go up even if rates go up. Payments stay the same for 30 years. Higher interest rate than a 15 year fixed rate mortgage. Interest rate stays the same if interest rates go down. Higher mortgage payment comparing with ARM loans originated at same time. Your first step should be to run the numbers on our web site to get an idea about current rates and closing costs for 30 year fixed-rate and other popular mortgage products. 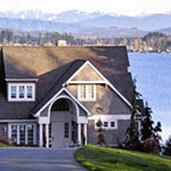 Then, use our network of top lenders and expert mortgage specialists to find the best loan for your property.